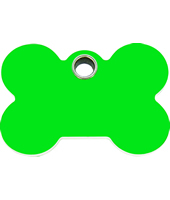 Some people prefer a simple dog tag for their dog, but they still want to ensure they last and stand out. 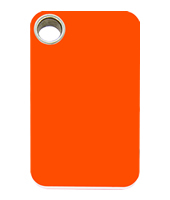 These Red Dingo Medium Plastic Dog Tags are made from plastic and come in a range of 4 designs: rectangle, circle. bone or heart. 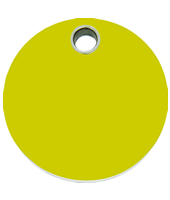 The medium size allows for more lines of text and more characters per line than the small plastic dog tag, i.e. up to 4 lines of text with 16 characters per line. 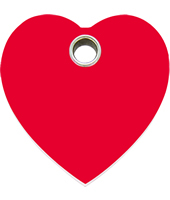 These tags are approximately 3 cm's in size and include split ring, free engraving and delivery (please allow 7 days for delivery). We do not recommend you put your dogs name on the dog tag.